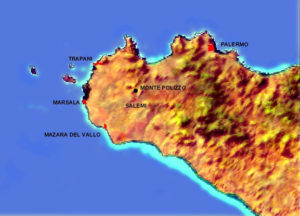 Motya is a small island off the west coast of Sicily between Trapani and Marsala, which had been a Carthaginian outpost around 700 BC. Federico Bardanzellu (1954- ) is a Roman researcher(a) with a special interest in Mediterranean prehistory. His ‘Dolmen Museum’ website(b) has particular relevance for Atlantology, as in it he discusses, in some detail, the Sea Peoples(c) and their connection with Sardinia, Corsica and Sicily as well as the Italian mainland. He claims that Homer’s Odysseus did not sail in the Okeanos beyond Gibraltar but instead had voyaged in the Tyrrhenian Sea. He identifies Tarshish with the Sardinian Tharros and places the Pillars of Hercules in the Strait of Sicily on the island of Motya off the west coast of Sicily. 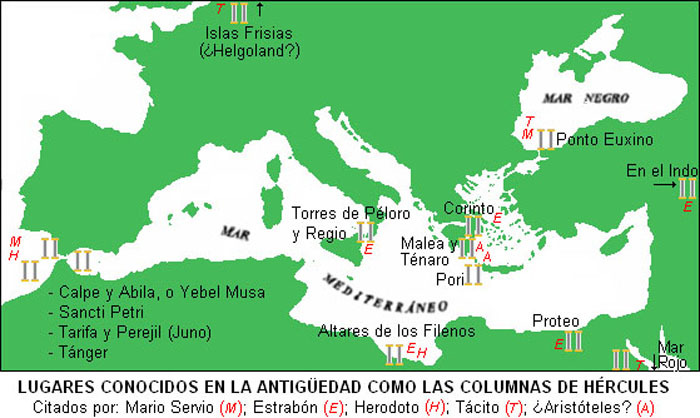 Although he refers to Sergio Frau’s location for the ‘Pillars’ he does not specifically mention Atlantis. Bardanzellu has also published a book on the earliest inhabitants of Italy entitled Gli Antenati Che Vennero dal Mare. The Sea Peoples is the name given by modern scholarship to a group of allies who caused havoc among the nations of the Eastern Mediterranean including Egypt which they invaded at least twice in the 2nd millennium BC. The phrase ‘Sea Peoples’ was never used in any ancient accounts. The coining of the term in 1855 is now generally attributed to French Egyptologist, Emmanuel de Rougé who used the term peuples de la mer (literally “peoples of the sea”) in a description of reliefs at Medinet Habu. The phrase was later popularised by another French Egyptologist, Gaston Maspero (1846-1916). Eckart Kahlhofer has recently suggested that even earlier, J. F. Champollion (1790 –1832) employed an equivalent term gens navales to describe the occupants of the invading swan-necked boats. Just a few years after Maspero the German classical scholar, Wilhelm Christ, was probably the first to identify the invading Sea Peoples with the Atlanteans(p), predating Jürgen Spanuth’s theory by the better part of a century. Christ’s idea was also supported to varying degrees by Theodor Gomperz, Spyridon Marinatos, John V. Luce, and Herwig Görgemanns. The Sea Peoples’ exact origin has been a matter of intense speculation(ad). The debate regarding their true identity has been ongoing for a long time and will probably continue as long as the chronologies of the Middle East are not fully harmonised to the satisfaction of all. 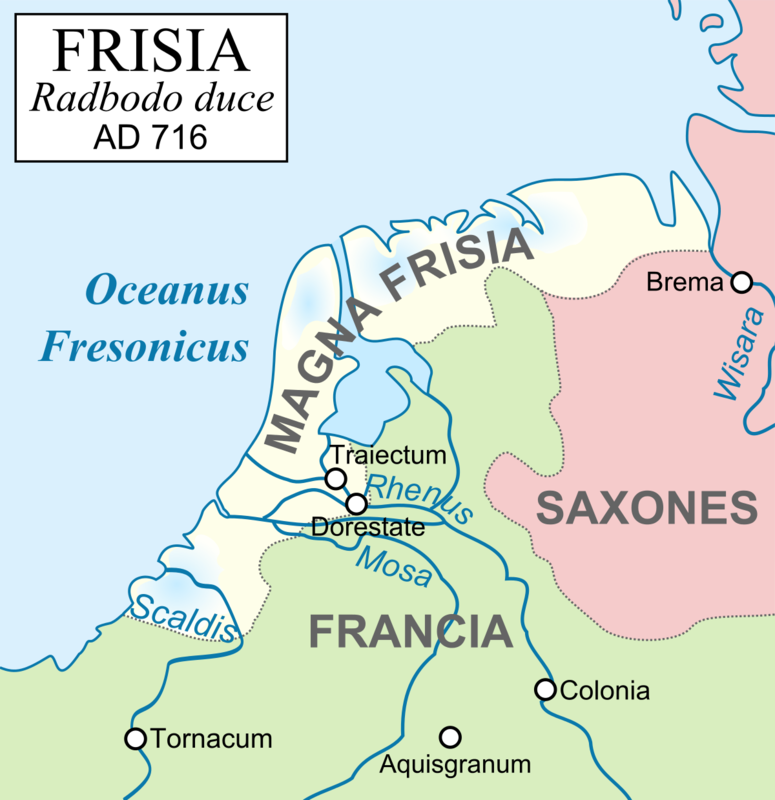 There is some agreement that the Sea Peoples mounted two invasion attempts on Egypt around 1208 & 1176 BC (Facchetti & Negri). There is a claim that the Sea Peoples also attacked Mycenaean Greece on two occasions and that Athens survived both(ae). Contrast that with the contention that there was a Mycenaean group within the Sea Peoples. The confusion surrounding the Sea Peoples is exemplified by the response to a question on the quora .com website(af). The earliest book devoted to the Sea Peoples, that I am aware of, was Immanuel Velikovsky’s Peoples of the Sea. However, Velikovsky was more concerned with revising the chronologies of the Middle East and so focused on dating the invasion of the Sea Peoples rather than identifying their origins. The Oxford Companion to the Bible is certain that the Sea Peoples were originally Mycenaean, who moved south, following the collapse of their civilisation at the end of the Late Bronze Age. They were repelled by the Egyptians and then moved on to the Levant where they later became known as the Philistines. A paper(ab) that also links the Philistines with the Sea Peoples from a biblical perspective is available. A more recent (2017) paper(aa) on a conservative website suggests that the Sea Peoples were ‘early Western Europeans’. One website(h) describes the Sea People as groups of dispossessed raiders driven by hunger following crop failures resulting from climate change. The same idea is expanded on by Lu Paradise in an extensive article(v). Evidence is mounting that climate change played a significant part in the Late Bronze Age collapse of civilisations in the Eastern Mediterranean region. In fact there is a school of thought that believes that the widespread societal disintegration was more the result of environmental factors rather than the depredations of the Sea Peoples(ag). The Malagabay website published a lengthy article(t) in July 2016, offering evidence along with some conjecture, supporting the radical idea that the Sea Peoples had originated in India and having migrated westward, some of them reached the Aegean and became known as Dorians! The author of the article appears to have followed the ideas of Edward Pococke published in his India in Greece. Bob Idjennaden along with co-author, Mebarek S. Taklit, have produced The Mysterious Sea Peoples attack Egypt, which provides an overview of the various incursions against Egypt during the 2nd millennium BC. The prominent part played by the Berbers in varying alliances that constituted the Sea Peoples is highlighted. Eberhard Zangger argues that the Sea Peoples were survivors of the Trojan War that fled to various parts of both central and eastern Mediterranean(g). He has written further on this identification and more on the Luwian Studies website(s). Zangger claims that the Sea Peoples were an alliance of Libyans and Western Anatolian (Luwian) states(s)(y), which seems odd since Plato describes the Atlanteans as mightier than Libya and Asia combined. If Zangger is correct in identifying Troy as Atlantis, he is also implying that a part (Troy) is greater than the whole (Libya and Asia combined), Troy being part of Asia! Something is clearly wrong with his theory. Jürgen Spanuth,not surprisingly, referred to them as the North Sea Peoplesand offered a range of evidence from Egyptian inscriptions at Medinet Habu to support this idea. This evidence includes a variety of features that Egyptians used to portray the Sea Peoples such as types of swords, shape of ships, shields and helmets as well as hair, clothing and shaving fashions. He then identified these Scandinavians as Atlanteans who later attacked Egypt. His opinion in this regard was strongly supported by Felix R. Paturi[1339.218]. Quite recently Spanuth’s ideas have also been echoed by Walter Baucum in his Bronze Age Atlantis. Quite a number of writers have identified the Atlanteans as the Sea Peoples whose invasion of the Eastern Mediterranean has been recorded in some detail by the Egyptians. One such early identification was by Spyridon Marinatos. One of the latest to join this school is Dr. Rainer W. Kühne,who not only makes the same identification, but using satellite images, he believes that he has pinpointed the capital of Atlantis in Southern Spain. His website has a list of comparisons of Atlanteans and Sea Peoples(a) which is worth consideration. Erick Wright, a regular contributor to Atlantis Rising forums, has now concluded(b) that Atlantis was located in modern southern Turkey and that Atlanteans were among the Sea Peoples who attacked Egypt in 1200 BC. Another Atlantis Rising forum(e)on the subject is also worth a look as is another illustrated site(f) which includes a map of the homelands of the Sea People. The Tuatha de Danaan invaded Ireland in prehistoric times. Having noted that Dan/Don/Danu were ancient words for water, it is not such a wild supposition that the Tuatha de Danaan were at least a constituent part of the Sea Peoples, an idea promoted by Leonardo Melis. On the other hand Egerton Sykes was of the opinion that the Tuatha de Danaan were refugees from Atlantis, an idea he expressed in his 1949 edition of Ignatius Donnelly’s Atlantis. He was convinced that Murias one of the legendary cities of the de Danann had been located in Bimini. 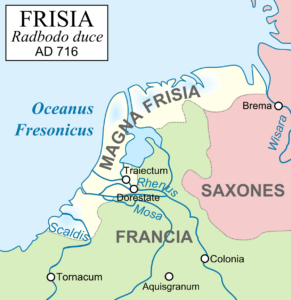 This is highly speculative idea has failed to bear fruit as have all efforts to identify the location of the other three cities, Falias, Finias and Gorias. David Rohl, a high profile archaeologist, has proposed an Anatolian homeland for most of the Sea Peoples listed by the Egyptians, in his book, The Lords of Avaris. 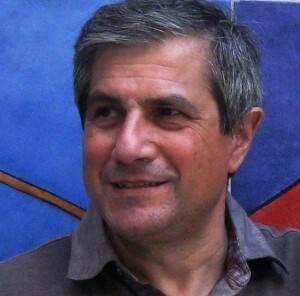 Federico Bardanzellu offers a number of papers on his Museo dei Dolmen website(n) in which he suggests specific homelands for many of the members of the alliance(o). Frank Joseph contends that the conflict between the Egyptians and the Sea Peoples was part of the Trojan War[108.11] and has identified the Meshwesh, one of the Sea Peoples, as Atlantean. Another unexpected twist is the claim, by the discoverer of the Phaistos Disk, Luigi Pernier, that the characters used on the Disk are similar to the representations of the Sea Peoples at Medinet Habu. 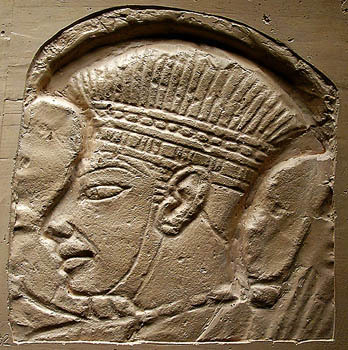 The most radical suggestion regarding the Sea Peoples has come from Jim Allen who has drawn attention to the similarity of their headgear with that of Amazonian ‘Indians’(c). Speculation regarding the identity of individual tribes in the federation can be found on a number of websites(i)(j). One of the most comprehensive is provided by two Italians military historians, Raffaele D’Amato & Andrea Salimbeti in a 2015 booklet and on the internet(l) and both are to be highly recommended. They highlight the complexities involved in definitively identifying the members of the varying alliances that were loosely described as the ‘Sea Peoples’ over a three hundred year period. Trude & Moshe Dothan have added another valuable book to the Sea Peoples literature with their People of the Sea, which has the interesting sub-title of The Search for the Philistines. An extensive review of all the available material relating to the Sea Peoples was also published online in October 2015(q). The MalagaBay website has also a wide-ranging illustrated article(u) about the Sea Peoples, although without reaching any firm conclusions. The most recent addition to our knowledge of the Sea Peoples appears to be imminent with the publication of a paper in the December 2017 issue of the journal Proceedings of the Dutch Archaeological and Historical Society. Written by Frederik Woudhuizen and Eberhard Zangger, the authors offer a translation of a 3200-year-old inscription That may refer to the Sea Peoples and linking them with western Turkey. You can read more, now, on the Livescience website(z) . In a 2006 paper(ac), The Ethnicity of the Sea Peoples, Woudhuizen included some groups from the Central Mediterranean as part of the Sea Peoples. (ac) The Ethnicity of the Sea Peoples. Diss., Erasmus Universiteit, Rotterdam.